“If you want strong bones, you have to drink milk.” Well, that is a powerful phrase that many of us have heard before. And these words may be the reason why it’s recommended that most children and adults drink milk. However, this is not the only way to build strong bones. What do you do, for example, when a person is dairy-sensitive? What about vegans? And what are the recommendations for kids who are allergic to dairy? Where can they get their calcium and vitamin D? There is no question that we do indeed need calcium! Not only our bones, but calcium is also integral for nerve and muscle function, as well as blood clotting. When we don’t get enough calcium in our diet to maintain proper metabolic function, the calcium is extracted from your bones. The calcium recommendation for adults age 19-50 years and men 51-70 years is 1000 mg. per day. For women over 51 years of age and men over 70, the recommendation is for 1200 mg. per day. One cup of milk has somewhere between 275 and 300 mg. of calcium, which makes it a great source of the mineral. But that is not the only great source of calcium easily found in your grocery store! Table 1 below will show you several vegan foods that are just as good, if not better sources for calcium. For example, just one cup of collard greens will provide up to 357 mg. of calcium. There are several supplements available as well that you can purchase to help you achieve the recommended values for calcium intake. But I suggest you take a look at your current diet and analyze if you need the supplement — or if you are able to increase your intake of some calcium- rich foods instead. The answer is very individualized, but at least once a year everyone should try setting aside a few days to keep a food journal. Afterward, you can analyze it to isolate areas that need nutritional improvement. Most vitamin and mineral- rich foods are healthy choices that will improve your quality of life as you habitually consume more of them. Here is the best news about calcium today! Did you know that you can meet 10% of your daily needs for calcium with just two tablespoons of Once Again Almond Butter? Recipes that include almond butter will include a calcium boost, too! Adding Once Again Almond Butter to your smoothies is a great way to add calcium and a surge of natural sweetness. 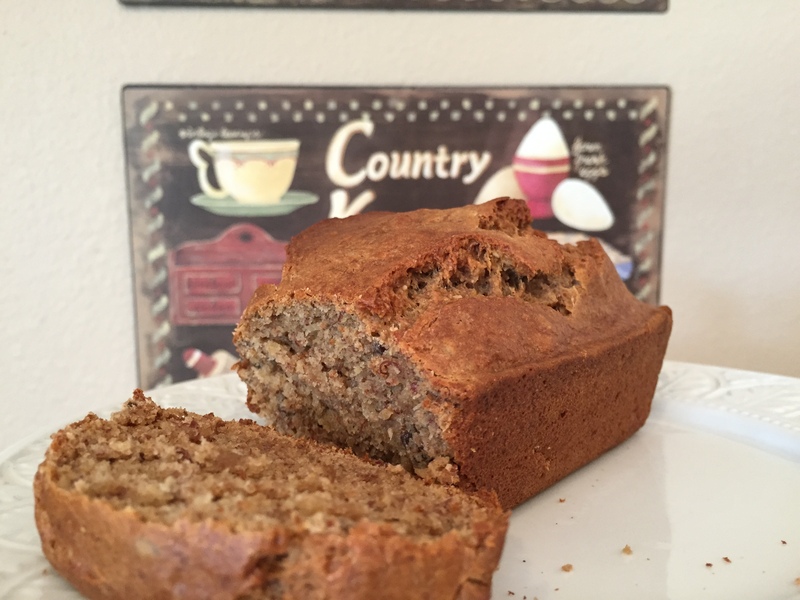 The recipe below for Almond- Flax Quick Bread is amazing! It is pretty simple to prepare, and the bread is fluffy — and just sweet enough. The added flax seeds provide fiber and protein. Make it for breakfast, afternoon tea, a post-workout snack, or whenever you crave something baked but are still looking for something nutrient- rich, too! *Read the label on your tofu container to see if it is processed with calcium sulfate or nigari. Note: Oxalic acid, which is found in spinach, rhubarb, chard, and beet greens binds with the calcium in those foods and reduces its absorption. These foods should not be considered good sources of calcium. Calcium in other green vegetables is well absorbed (1,18). Dietary fiber has little effect on calcium absorption. Sources: USDA Nutrient Database for Standard Reference, Release 24, 2011 and manufacturers’ information. Mash bananas well, and then add sugar and Once Again Crunchy Almond Butter and mix until blended smooth. Add eggs and beat with a mixer at low speed. In separate bowl, mix flour, baking soda, salt and flax seeds. Then blend into the wet mixture. Pour into a greased pan and bake it in an oven pre-heated to 350 degrees oven for about 40 minutes. Our household is in love with almond butter, a great source of calcium. I also love cantaloupe which has a nice amount of calcium. thank you for sharing these recipes~love almonds! Kale is a good source of calcium…I love it!